Pantone's 2014 Spring Colours are an eclectic mix of bold and pastels from the placid blue to the bight dazzling blue there is a shad to suit everybody here. The fashions are a mix of layers, starting with softer pastels as an undertone spiced with bright dazzling shades in overlays, accessories or accents. Dazzling blue is showing up on runways everywhere this season and as the weather gets cooler is the perfect time to start layering with some bold colours from this seasons range and dazzling blue it the perfect rich intense colour to make anyone feel inspired. 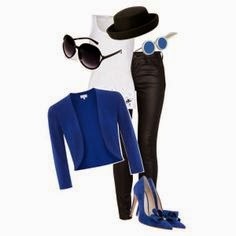 I love polyvore for creating little outfits to suit my mood or theme, I created this outfit with the pantone dazzling blue in mind for a night out with these super delicious shoes and it paired perfectly with my resin drop earrings in blue. 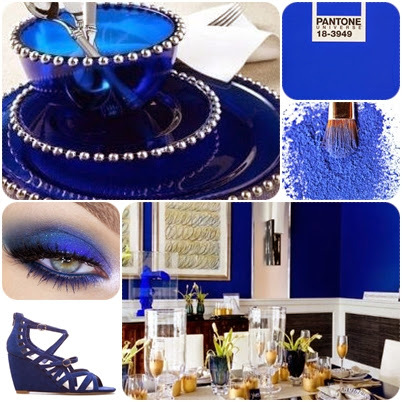 Over the next few weeks I thought I might share some colour inspiration using Pantone's Spring 2014 colour range, today I am starting with Dazzling Blue. Do you have any items that suit the Pantone colours for Spring 2014? Next up in my inspiration boards will be 'Cayenne' so if you have any lovely items in this gorgeous rich peppery red please share with me below in the comments sections to provide some inspiration for my next board.